Free for Conservancy members | Join today! Join us for our biggest community celebration of the year! 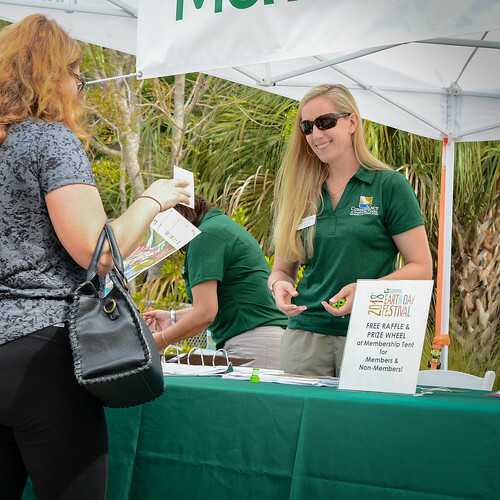 The Conservancy of Southwest Florida is celebrating Earth Day on April 13 with its biggest community event of the year. The Earth Day Celebration includes educational programs and interactive shows led by Conservancy staff and volunteers, as well as a “Super Science Show” with Glen Beitmen, aka Mr. Glen. Children can enjoy hands-on activities and crafts in the Conservancy’s Kids Zone, and face painting. Food trucks, exhibitors and vendors will be on site throughout the day. The Conservancy’s Earth Day Celebration is presented by Arthrex. Supporting sponsors include Bank of America, D’Latinos, Florida Weekly, Leonard C. and Mildred F. Ferguson Foundation, Naples Daily News, and Univision. Click below to see more of the day's events on our Facebook page!